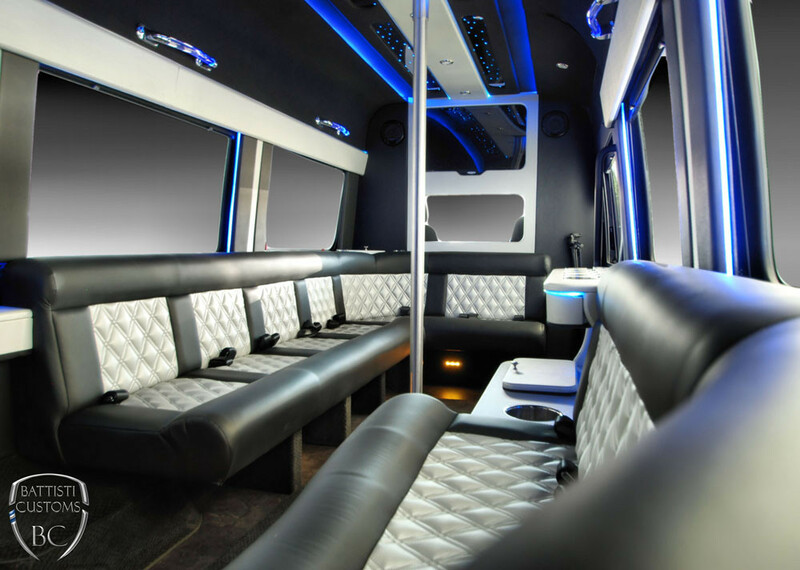 M&V Limousines Ltd. is the leader when it comes to the party bus rental industry in Long Island, New York City, Brooklyn, Queens, Bronx and New Jersey. 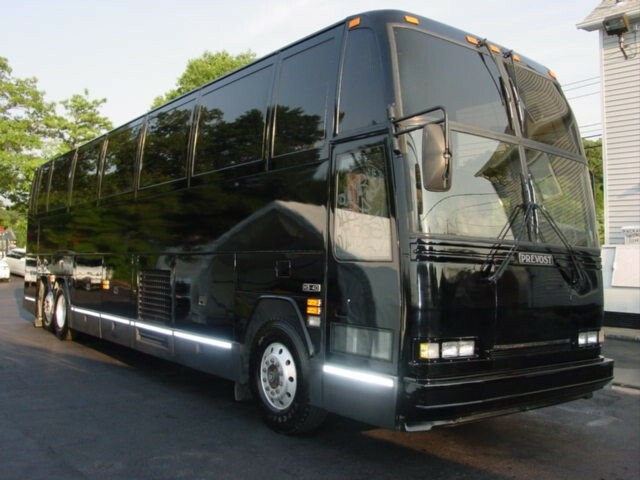 Our party buses can fit up to 56 passengers. If you’re looking at party bus companies, choose M&V Limousines Ltd. and allow us to make your event one to remember. At M&V Limousines Ltd we offer you the ultimate party buses for your wedding. You can keep the whole wedding party together and really have a great time with everyone. There’s plenty of room to walk around, listen to music, have a drink, and laugh and joke with your friends and your wedding party. We have many different size party buses together ranging from a 20 passenger party bus all the way up to a 55 passenger party bus. Our party buses have such amenities as fiber optic and RGB lighting, blue lights, granite floors, high end sound systems, large flat screen TV’s, coolers all around, booths, chrome ceilings, DVD players, restrooms and more. You party bus driver will be dressed in tuxedo and will help you not only with the driving of the party bus, but also with the finer details such as helping the bride with her large dress, laying down the aisle runner at the ceremony if your location allows for it, assisting with coordinating with your photographer for nice pictures as well as helping your whole bridal party with coordination when everyone is walking down the aisle. 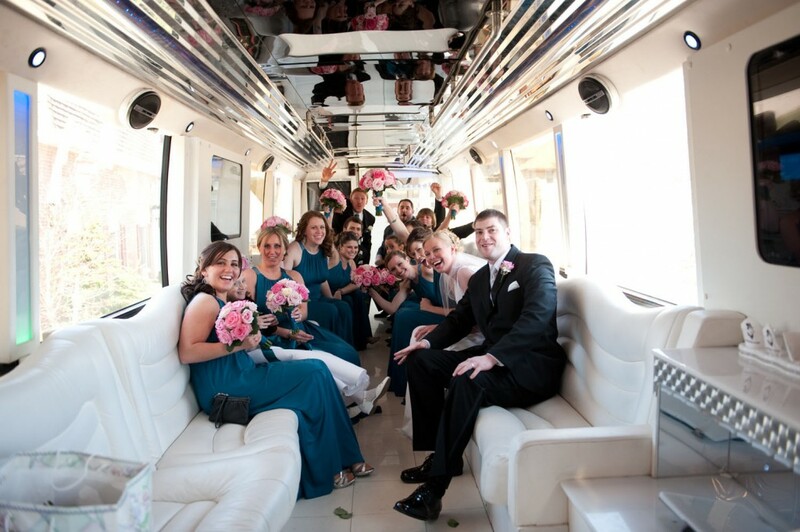 If you choose a party bus rental for your wedding, we’re sure to have one that will be perfect for you and your bridal party. M&V Limousines Ltd. has many party buses to choose from for your Bachelor or Bachelorette party. If you have your wedding booked with us we always give you a discount on your bachelorette party and provide you with a luxury party bus to have a great time either in NYC, Atlantic City or possibly the Hamptons. THis is your last night out as a single guy or girl with your friends, so leave it to M&V Limousines LTd. to go handle all your transportation needs. Heading out to press your luck at the casino? Book one of our custom party buses. We have everything from 20 person party buses all the way up to 55 passenger party buses… and everything in between. Our party buses will take you to Atlantic City, Foxwoods, Mohegan Sun Resorts as well as the casinos in Philadelphia and Pennsylvania. 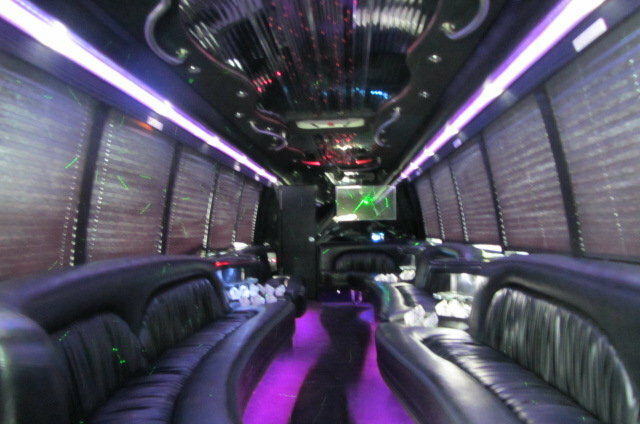 Getting to and from the casinos is sure to be more than half the fun aboard one of M&V Limousines party buses. We can also get you comps when you arrive at the casinos when choosing one of M&V’s party buses. Have fun and leave the driving to us and call today for a free quote to rent a party bus. 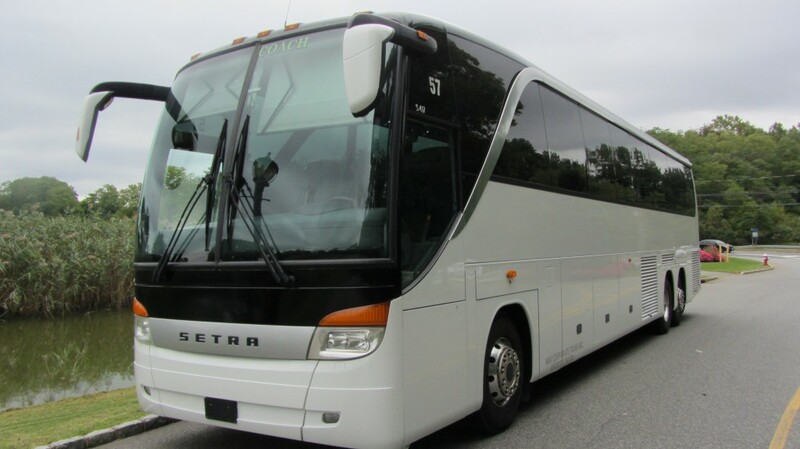 Party buses are a great way to head to the mountains when you have a large group or organization. There’s plenty of room on our Prevost Party Buses to store your skis, luggage and other equipment that you need for your ski trip. 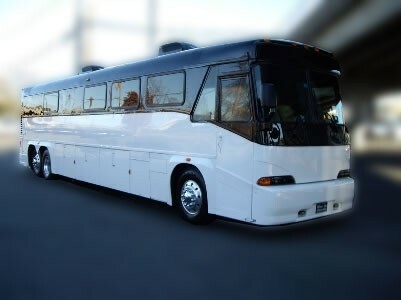 We have custom party buses that are converted from coach buses to be party buses so there’s lots of room for storage. We cater to many ski clubs and groups and we’re ready to take you to Hunter Mountain, Windham, and the Poconos. Heading to Vermont? We’ve have many happy customers that we’ve transported in our party buses to Killington, Stratton and Okemo. Whether it’s a day trip or overnight… M&V Limousines Ltd. will get you there safely and in extreme comfort. If you have a large group traveling to the airport, getting there on a party bus is a fun option. We will help you to plan your trip and drive you to any of the airports in the Tri-State area such as JFK, LGA, MAC or NWK. 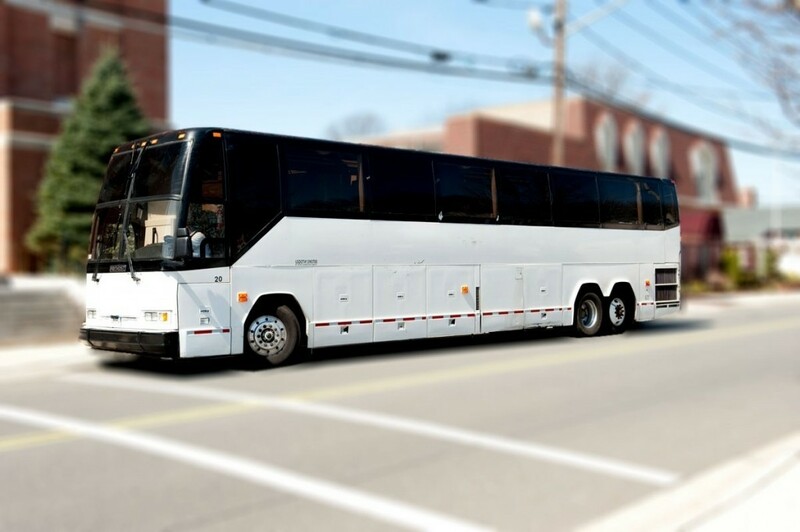 Start the trip off right and leave the driving to the professional party bus chauffeurs from M&V Limousines Ltd.
M&V Limousine’s party buses are a great way to get to and from your favorite amusement parks in the Tri-State area such as Six Flags Great Adventure or Dorney Park. Whether its for your day camp, school or after prom day, M&V Limousines Ltd.will take care of you with the best party bus prices. We’ll take you to the park, give you 8 hours there to enjoy yourself, and then you get back on our party bus to continue having fun on the way home. Rent a prom party bus and have the best prom experience! We are innovators in bringing you the cutting edge in party bus design and function. 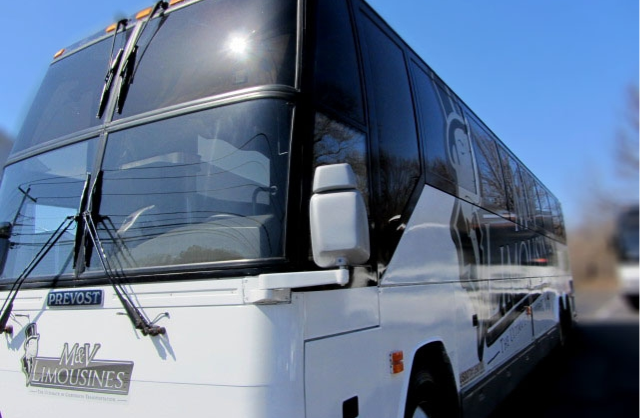 Our party buses are some of the largest in the industry holding up to 55 passengers. Out party buses are extremely fun, comfortable and safe. Be sure to book your party bus well in advance because they are firs to book up for the prom dates. We have many different party bus packages available for your prom in Long island, the Hamptons, New York City, Manhattan, Queens, Bronx, Westchester and Queens as well as New Jersey. We also have great specials on a prom limo if you wanted a luxury limousine instead. 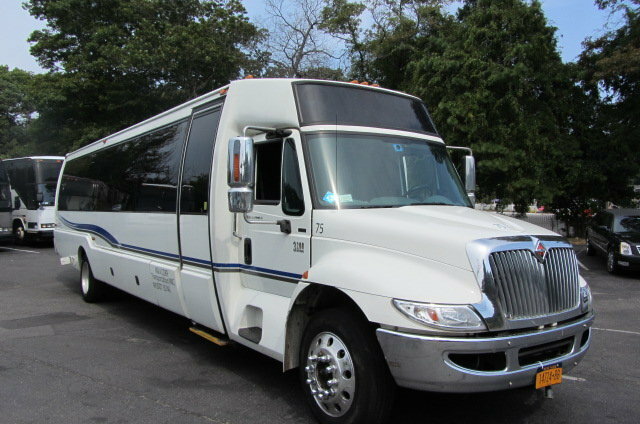 Party buses have become very popular for groups of friends going to sporting events such as the Meadowlands to watch the Jets and the Giants, Yankee Stadium or Citifield to see the Yankees or the Mets. Some of the party buses are also equipped with Direct TV to keep you constantly connected to the games so you don’t miss a play during the drive. Our luxury party buses have perimeter couch seating so there’s lots of room to stand and walk around. They also have high end sound systems, granite or wood foors, mood lighting, disco lights, bars all around, DVD players, large flat screen TVs, restrooms, wifi (some), Direct TV (some), and dance poles (some). Q: How many people do party buses hold? Q: Are all party buses the same? A: No, there are many differences in party buses and party bus companies. You also have to be aware that some are booking agents and do not own their own party buses. M&V Limousines Ltd. owns its own party buses and offer you some of the nicest party buses at the best prices. A: M&V Limousines Ltd. and party buses have been in business for over 23 years. Q; How do you make sure the party buses are safe? A: We have our own mechanics that work for M&V Limousines Ltd. full time so our vehicles are constantly being maintained and checked on a regular basis. All our party buses go in for PM maintenance every 3 months and DOT inspection every six months. Q: How do I book a party bus for my trip or event? A: We can book your trip over the phone where you can talk with an experienced representative, you can book via email or you can book online. We typically take a $100 to $500 deposit depending on your trip and that secures the reservation for you. The balance is typically taken care of before the trip unless you’re paying cash, the driver can collect the balance at the pickup location.